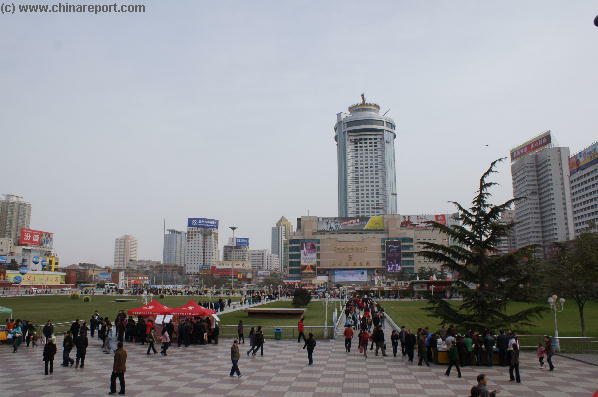 Welcome to China Report's Digital Introduction to Dongfanghong Plaza formerly known as Zhongxin Square, Lanzhou Cities' Main Commercial Square in Lanzhou, Capital of Gansu Province. 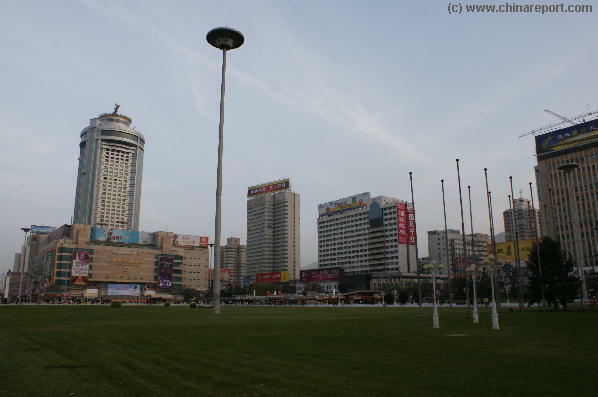 There is Dongfanghong Department Store in the south, Guofang Shopping Center in the east and Lanzhou Gym sitting in the west. 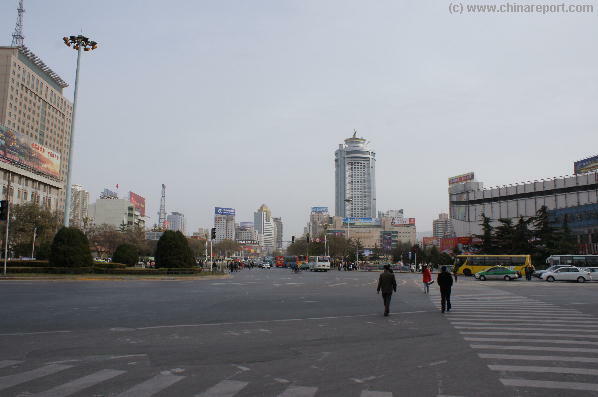 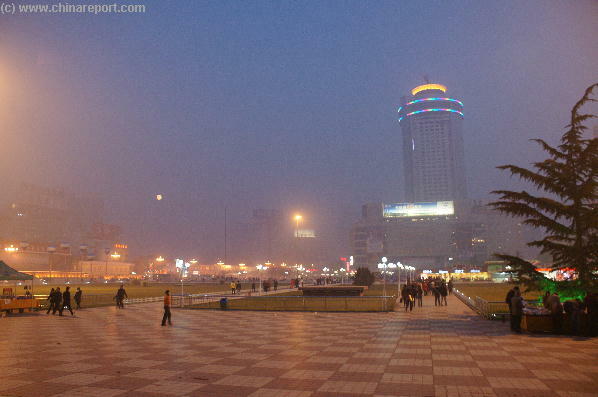 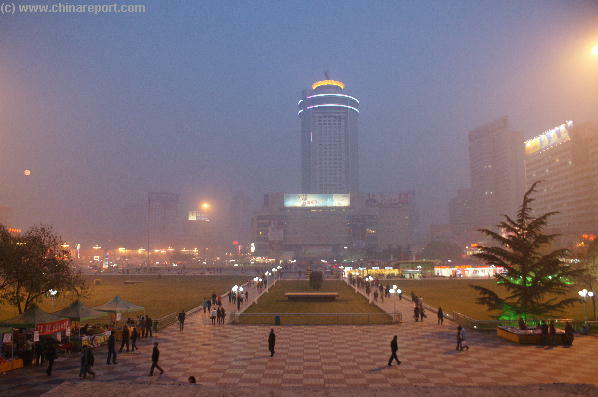 Along the north border of the Square runs Lanzhou's main boulevard Qingyang Road. 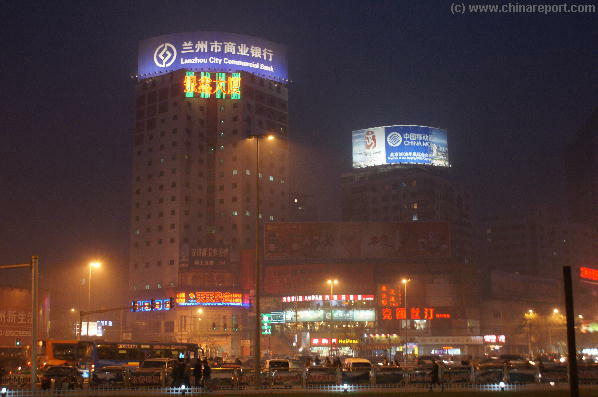 The popular commercial streets in Lanzhou are mainly Qingyang Lu, Zhongshan Lu, Jiuquan Lu, Zhangye Lu, Yongchang Lu, Qin'an Lu, Longxi Lu and Linxia Lu.